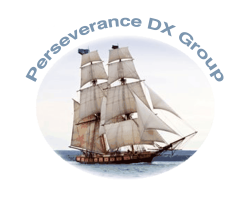 The Perseverance DX Group is on schedule for next year’s DX-pedition to Central Kiribati (Kanton Island). We are planning 15 days on the island during October, 2017. Arnie N6HC, Kevin K6TD, Heye DJ9RR, Pista HA5AO, Laci HA0NAR, Gene K5GS, Les W2LK, Glenn KE4KY, Mike WA6O, Ricardo PY2PT and Steve W1SRD. The expedition yacht Evohe from Dunedin, New Zealand will meet the team in Apia, Samoa for the estimated 4 day sail to Kanton Island. The landing permit application is currently being reviewed by the authorities. T31 is #18 most wanted on Clublog. However, the need in EU is significant for all modes. Getting a team to T31 requires a safe boat and qualified skipper / crew, this DX-pedition will not be inexpensive. The team is committed to paying 50% of the cost and we look to the DX community to help with the remaining 50%. The Donate function on T31W.com is now available for your use. Please direct questions to Gene K5GS or Pista HA5AO at their QRZ.com address. Kanton Island (also known as Canton Island or Abariringa Island), alternatively known as “Mary Island”, “Mary Balcout’s Island” or “Swallow Island”, is the largest, northernmost, and as of 2007, the sole inhabited island of the Phoenix Islands, in the Republic of Kiribati. It is an atoll located in the South Pacific Ocean roughly halfway between Hawaii and Fiji at 2°50’S 171°40′. The island is a narrow ribbon of land enclosing a lagoon with an area of 40 square kilometers. Kanton’s closest neighbor is the uninhabited island of Enderbury, 63 km to the south. The capital of Kiribati, South Tarawa, lies 1,765 km to the west. As of 2005, the population was 41, down from 61 in 2000.The island’s sole village is called Tebaronga.